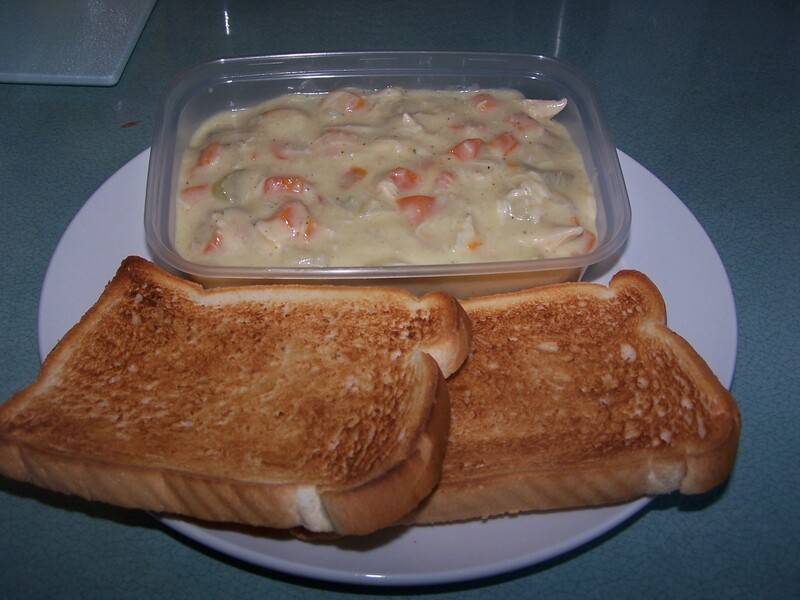 Just recently (thanks to having headaches and not being able to move off the sofa) we have been watching a lot more food programmes on TV, especially the Food Network channel, and a lot of chefs seem to have their own recipes for chicken and dumplings all of which are very different to how we would have ‘chicken and dumplings’ here in the UK. So after seeing many versions on TV as well as looking on the internet for recipes I kinda came up with my own, but, I didn’t make dumplings that went into the chicken, I made ‘biscuits’ to go with mine, which I let my little boy help me with with, so they were more like bricks after he’d finished pounding the dough!! Bless, he loves to cook, but doesn’t yet know when to stop fiddling!! This is my version of chicken and dumplings. In a large pan, melt the butter and then add the onions, carrots and celery, cover and leave for around 20 minutes for the veg to soften, then add the flour and make sure all the veggies are coated. Add the chicken stock, then the double cream, cover again and leave to simmer for 30 – 40 minutes. After the 40 minutes, add the pre-cooked roasted chicken and leave it to heat through. While you’re waiting for the chicken to heat up, make up the biscuits as per the instructions on the box for the scones (but minus the sugar), and bake. Once the chicken is heated, serve it up in a bowl, I served mine with rice, and enjoy with the biscuits. My husband loved this (and I loved it too) and I thought my little boy would love it too as he helped me make it, and it normal helps him eat it if he made it, but not this time, he just nibbled on the rice and left the rest, oh, apart from the biscuits, which he did enjoy! I will show you a picture of how mine looked, but this was taken the next day ( I ended up, as usual, making loads ) as it doesn’t look as good as it did when I first made it, but it was delicious and I will definitely be making it again. Up Next is my home-made pasta with my creamy tomato sauce…..another delicious meal, by me!!! At the beginning of the week I had a list of thing to bake and I am sad to say I have only made three of the things but I will be baking again once I have written this. 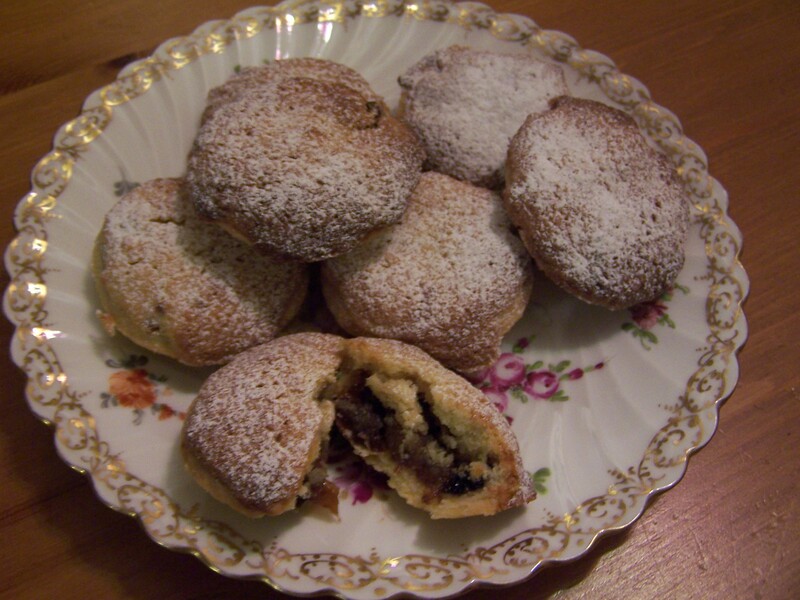 I made the mincemeat shortbreads which worked out really well and I made apple curd which didn’t work out so well, and I also made another batch of the brandy frangipane mince-pies, but this is about the mincemeat shortbread. It really is an easy, straight forward recipe, but I did have one of those ‘this so isn’t going to work’ moments, when the dough was quite sticky and I couldn’t ‘press’ it in the tin and when it came to ‘crumble’ the topping on, this dough does not crumble, you have to just put bits of the dough over the top of the mincemeat, any way, that all said, my husband assures me that this tastes delicious (I haven’t tried it as I don’t like mincemeat). Pre-heat the oven to 190C, and grease a 8.5 x 8.5 inch tin. In a bowl mix the flour, semolina and salt and leave to one side. In a mixer beat the butter until smooth, then add the sugar and again beat until smooth, the beat in the vanilla extract. Gently stir in the flour mixture until just incorporated. Evenly ‘press’ (I ended up spreading it with a spatula) about 2/3rds of the shortbread mixture into the prepared tin, then, spread over the mince meat leaving a 1/4 inch border. 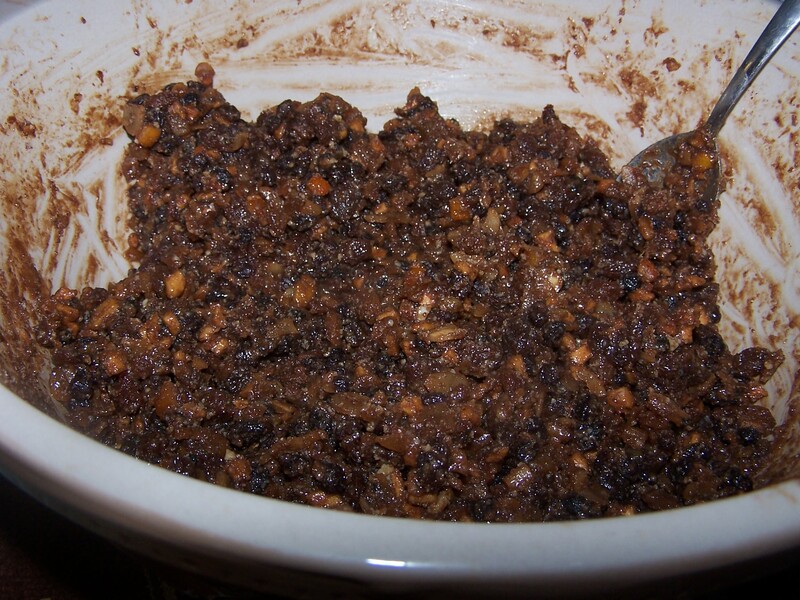 ‘Crumble’ the rest of the dough over the top and lightly press it into the mincemeat. Bake for 35 – 40 mins or until golden brown. Remove from the oven and cut it into small squares, then leave it to completely cool in the tin. 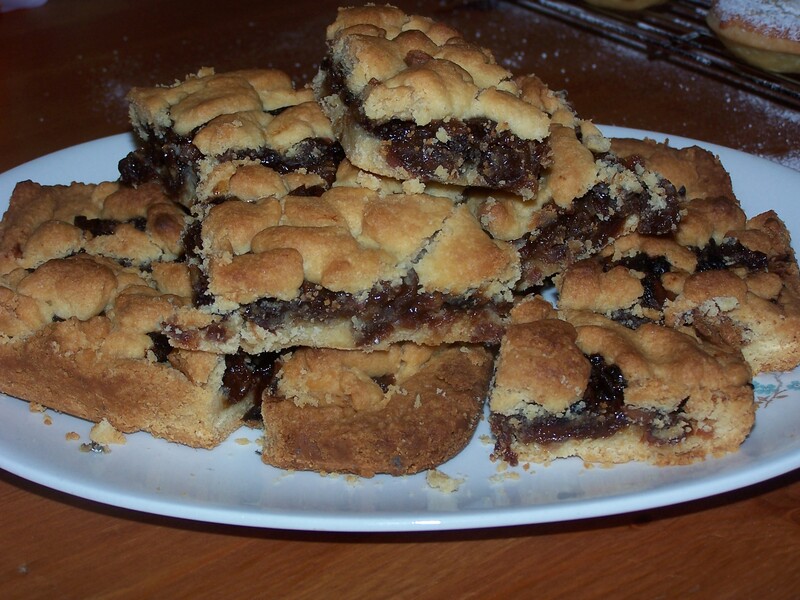 And here’s how mine looked, yes my pieces were quite big, but after it being tasted, smaller squares were highly recommended. 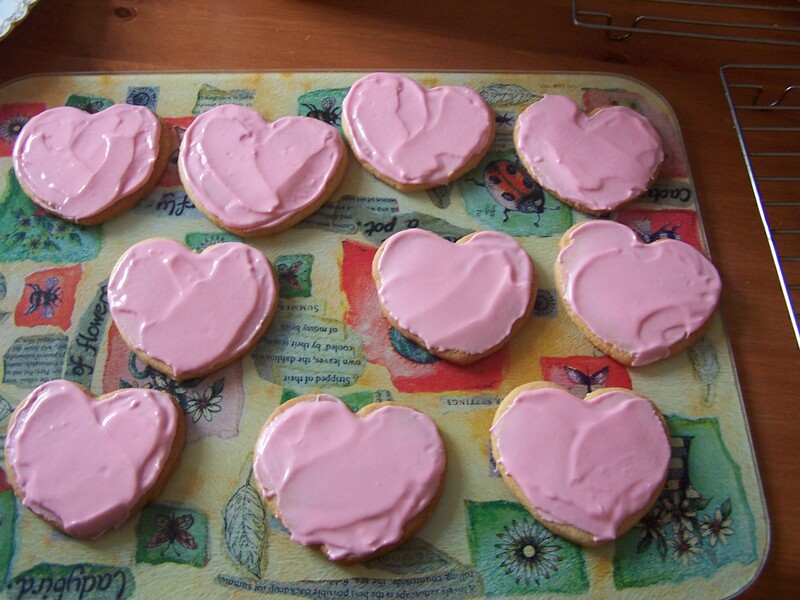 I will definitely be making these again and maybe trying different flavoured ‘insides’ as it were, and maybe making a chocolate flavoured shortbread. Yummy!! Hello and welcome to my blog. I will be writing about all my baking escapades which will include photos and recipes. As the title suggests I do indeed have a tiny kitchen, and by the time I’m in there with all my ‘stuff’ out, and then my son comes in dragging a chair with him to stand on, I literally have no room to turn around or open a drawer…..and yes it does drive me insane…..my husband will testify to this, as I moan A LOT about it. I have always loved baking and cooking, but have decided I want to do a lot more of it, and thought that this would be a good way of keeping track of what I have done. 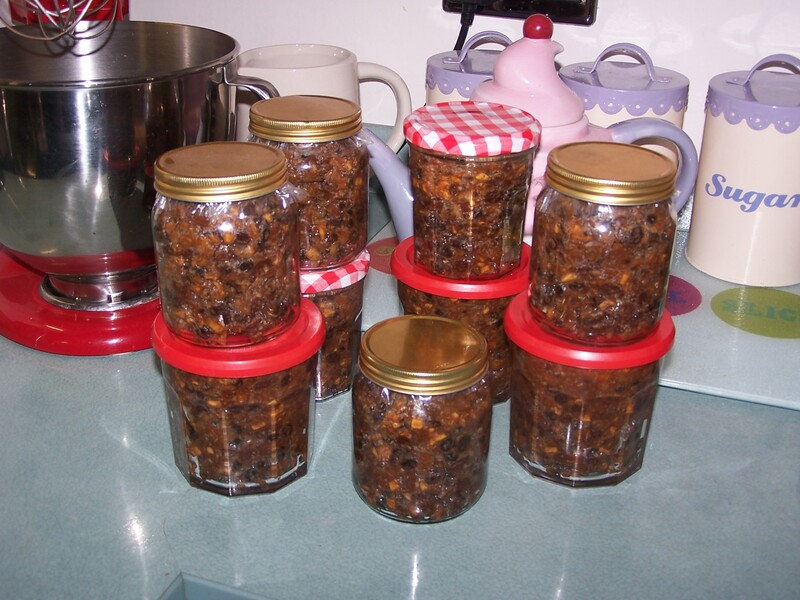 I have some jars of mincemeat that I made last year that I want to use, so I have been looking at making something with that, and I would like to make some ‘pretty’ biscuits. So, watch this space.